Although we usually have around 1,500 doors in stock at any given time, most of them are interior doors. We get fewer exterior doors because they tend to break down over time from exposure to the elements – and, of course, there are fewer of them out there to begin with. 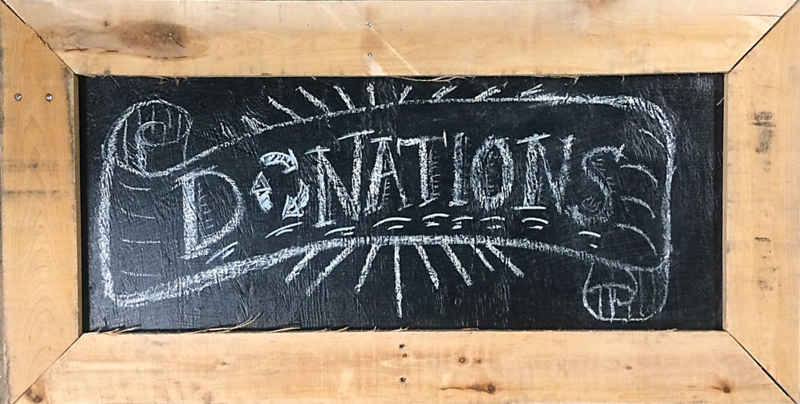 So we were pretty excited to receive a recent donation of 120 exterior doors! They are gently-used, in a variety of styles, and most will be priced between $20 and $125. Overall, they seem to be in nice shape, so we expect them to go quickly. Our warehouse team will be steadily processing and putting them out onto our sales floor over the next week or so. So if you need an exterior door, come see us soon! 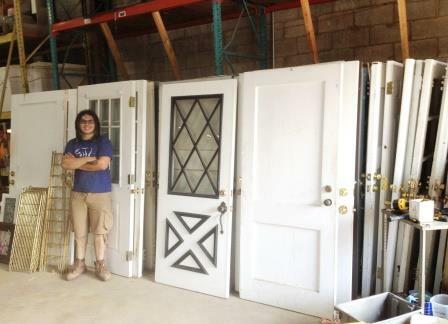 Manuel shows off some of the doors in our processing space. It took a lot of heavy lifting to get them all loaded in!